AT&T has an interesting offer for anyone looking to become a cord-cutter. 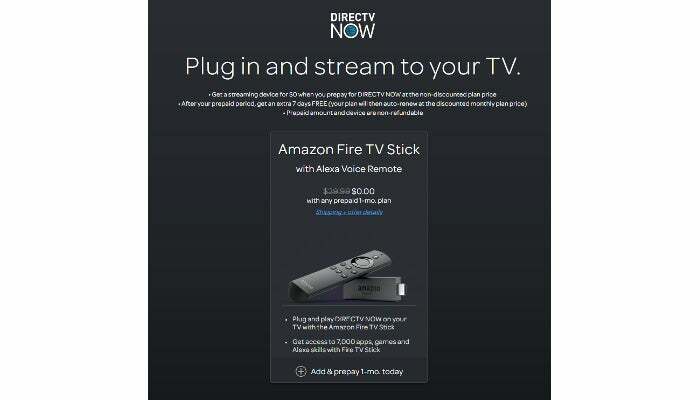 New subscribers to DirecTV Now will get a free Amazon Fire TV Stick with Alexa Voice Remote when they prepay for one month of the live TV online streaming service. The basic DirecTV Now package costs $35 per month, which means if you stop your DirecTV Now subscription after one month, you’re essentially getting the Fire TV Stick for $5 off. DirecTV Now offered a similar deal when it first launched in late 2016. Five dollars off isn’t much of a deal by itself, but don’t forget you also get the DirecTV Now service for a month. The basic “Live a Little” package features channels such as AMC, Cartoon Network, Comedy Central, CNN, Disney, ESPN, FS1 and FX. There are three other higher-priced packages available too, as well as add-ons for additional costs such as Cinemax, HBO, and Starz. 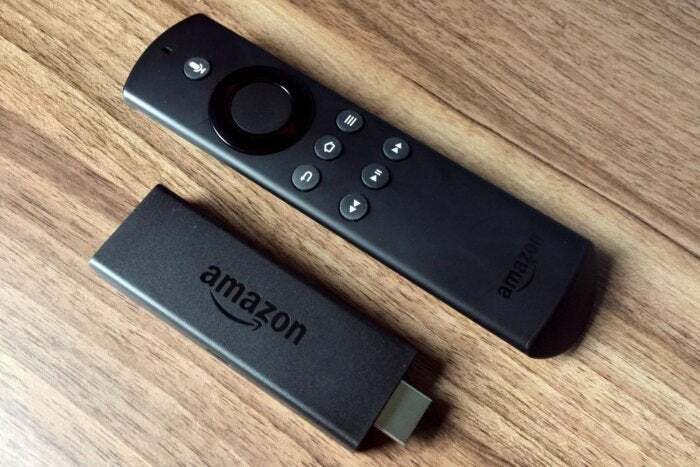 As for the Fire TV Stick with the Alexa remote, it’s a nice little streaming device. It’s not quite as handy as Chromecast, which lets you send content from your phone to your TV, but as a cheap way to access streaming services in your living room, it’s a fine choice.